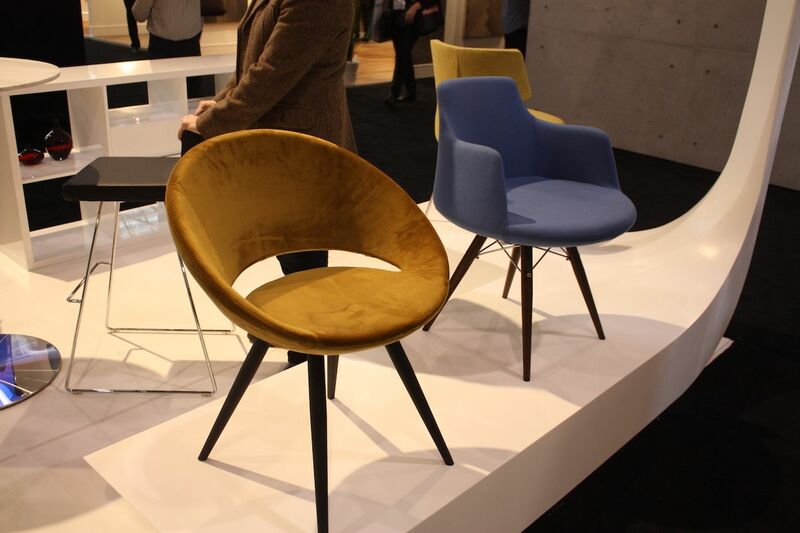 At the 2016 International Design Show in Toronto, experts helped attendees pin down what the home trends will be for 2016. 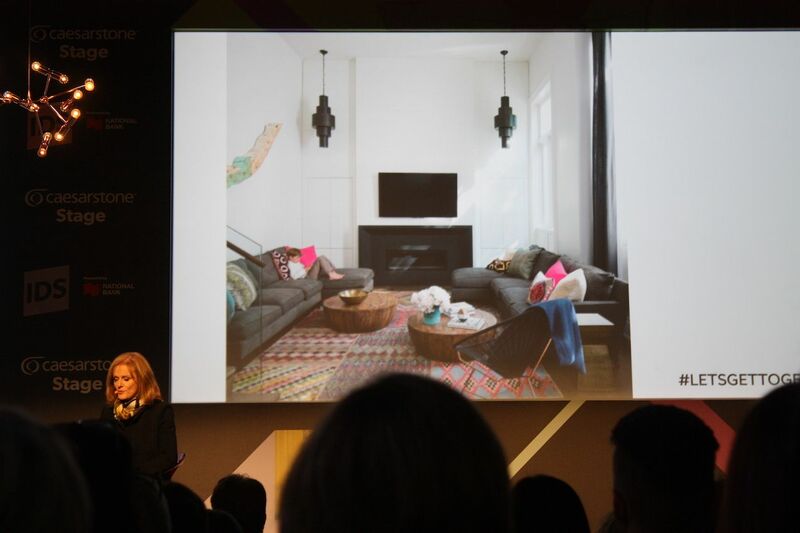 Suzanne Dimma, House & Home’s editor-in-chief and interior designer, set out what the magazine has identified as the top home decor trends for 2016. The number one trend House and Home identified is pin leg furniture. 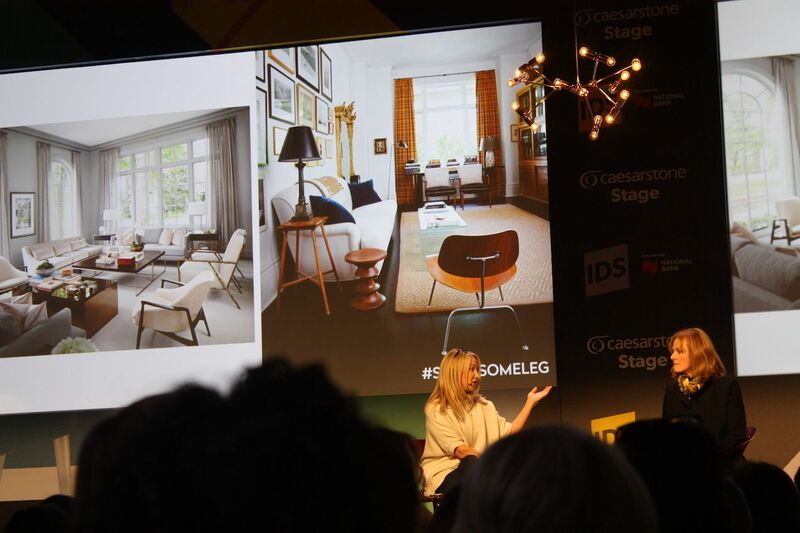 The leggy profile of mid century modern furniture, especially chairs, is perfect for lightening up a living space, explained Dimma. 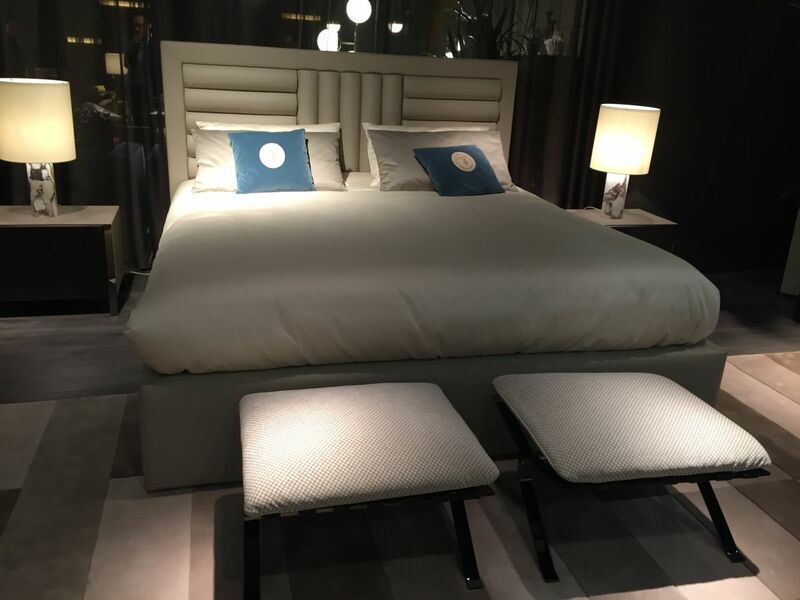 Rooms full of furniture that extends to the floor can look heavy, so it is possible to incorporate a few thin-legged pieces into your existing decor. “Just watch that the seat height matches what you already have,” she cautioned. 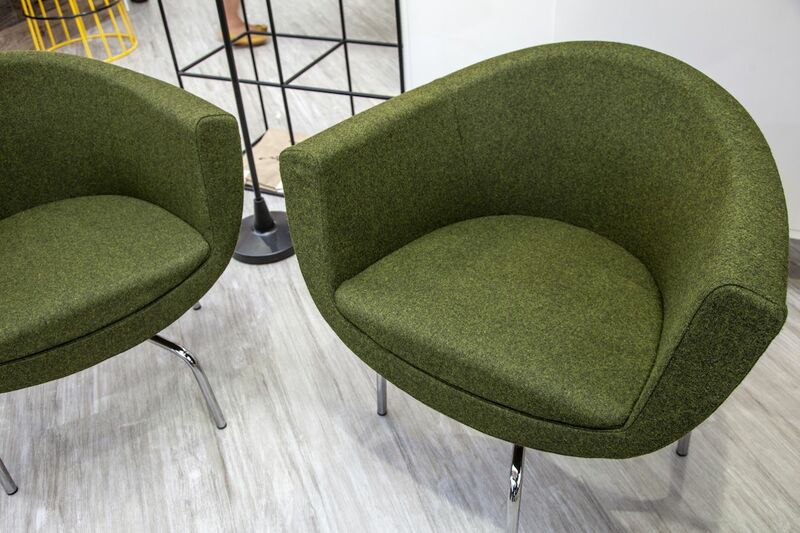 These two sleek-legged chairs from SohoConcept are a good example of pieces to incorporate into your current decor for an update. 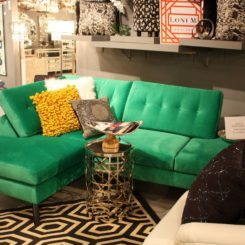 A matched pair like this could be substituted for a larger, heavier love seat in order to lighten the space. 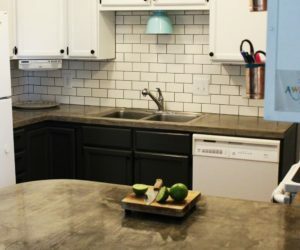 Patterned tiles are all the rage right now, either for floors or walls. Playful, maze-like patterns are particularly hot, but they’re not for everyone. 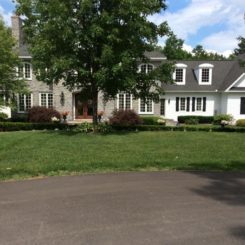 “It’s a huge expense and a bold move,” Dimma said. 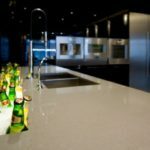 Want to give it a try but don’t have the budget (or stomach) to try real stone? “Paint it,” she said. Sampling a bold pattern by painting the floor is a low cost way to try out this home trend. 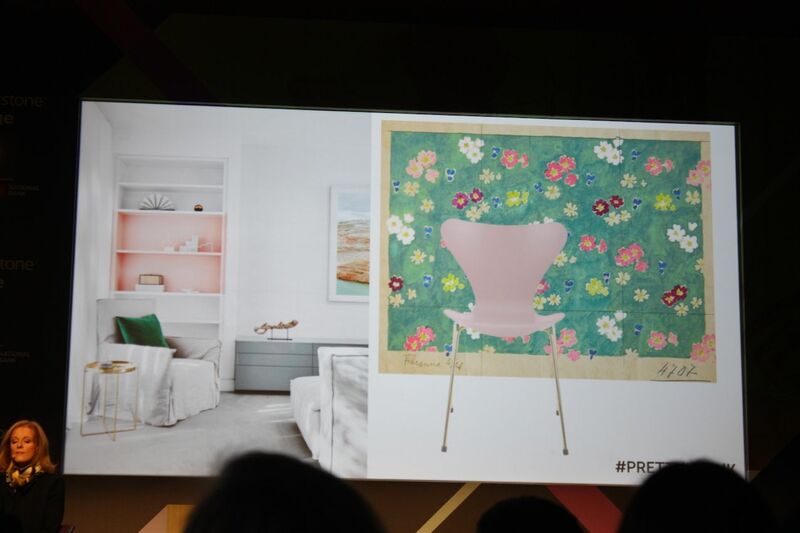 Pantone just picked it as one of the 2016 colors of the year, and pink is already a trend in home decor. “Pretty and practical” is what Dimma termed it. 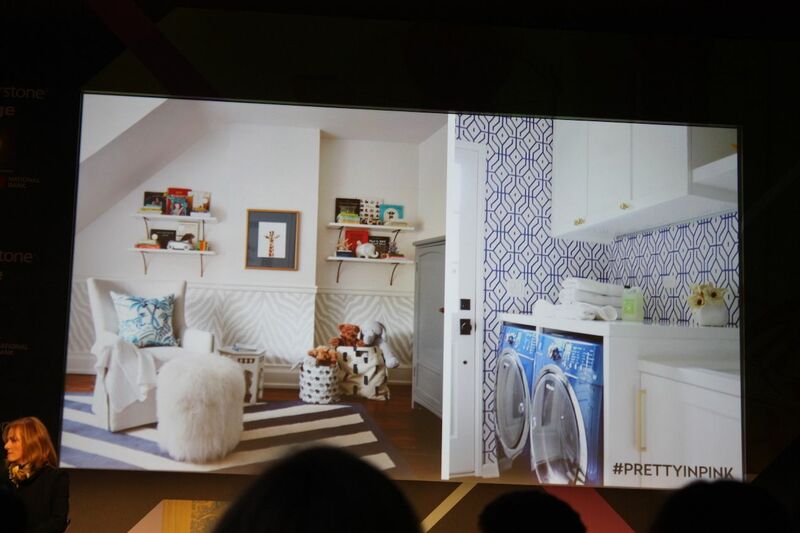 Making all your rooms prettier — including the laundry room — is part of the trend. She noted that while pink is a courageous color, it doesn’t have to be overwhelming. We’re not talking about cotton candy pink, but rather a soft, pale sophisticated blush color, that is great when paired with neutrals. Not a bad place to wait for your laundry to finish when the room is this pretty. 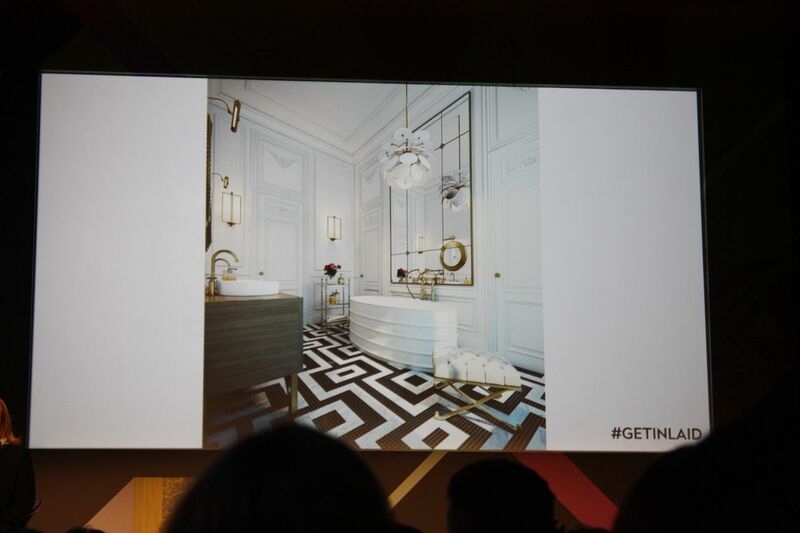 Along with pink, Dimma noted that gold is going strong as a metallic accent color. For some people, when it comes to dusty pink, it’s all about the accents. 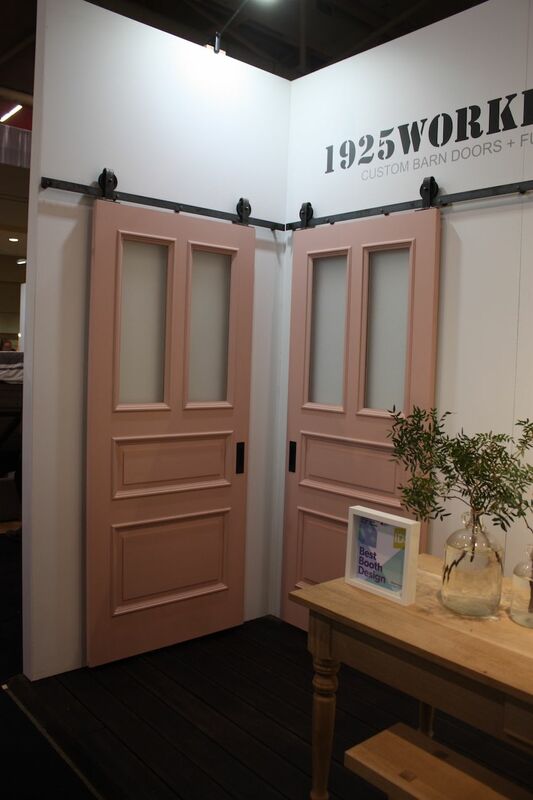 Even doors can be painted in pink, like these custom barn sliders by 1925WorkBench. 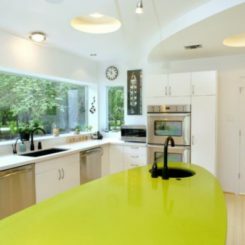 Open shelving has been quite a popular home trend for some years, but now it’s moving a step forward with glass doors on cabinets and cupboards. “Open shelving gets dirty and dusty” Dimma noted. 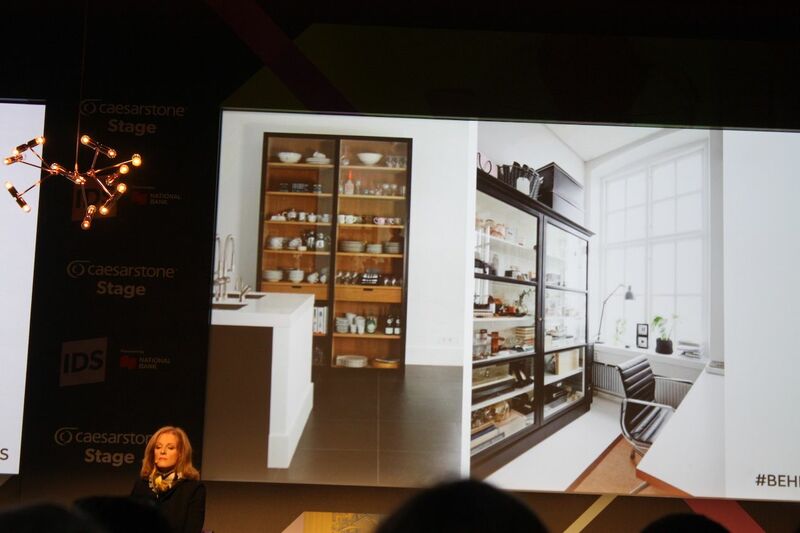 Glass door fronts help keep the shelves and items dust-free and still have the effect of open shelving. Again, this trend might not be for everyone. “You have to be realistic. 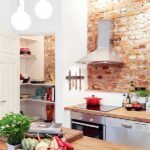 Open storage is not for small spaces,’ Dimma said, adding that if you choose open shelving, you have to have other places to store unsightly necessities. 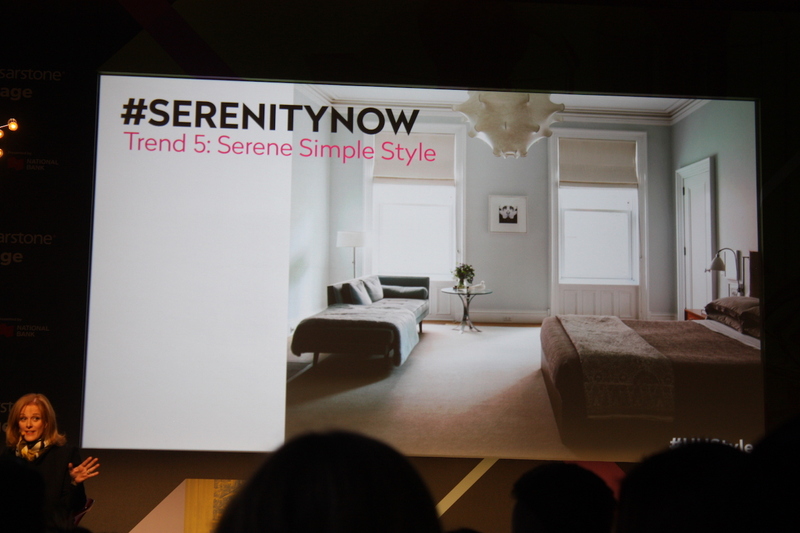 This year the home trend toward simplicity continues, focusing on creating a serene environment. 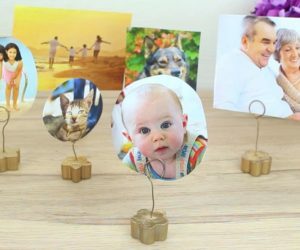 “It’s a very edited approach to decorating,” Dimma explained. “It’s quality over quantity.” Of course, not everyone can live like this — you have to have places to hide your everyday things. A clean and neutral palette helps keep the space calming. Even a serene space can make use of color. The bold jewel blue tone and the calming greens in the artwork mimic the tones outdoors. 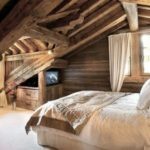 The bedroom is one place you might want to go for the serene approach. 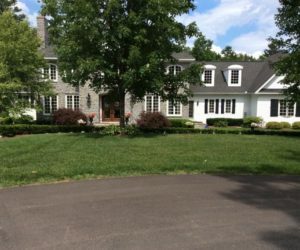 While modern, this one certainly has a calming decor. Our homes are getting smart and will continue to become more so. From affordable smart thermostats that you can control from anywhere to appliances that remind you that you are out of milk, the advances will keep coming, said Dimma. 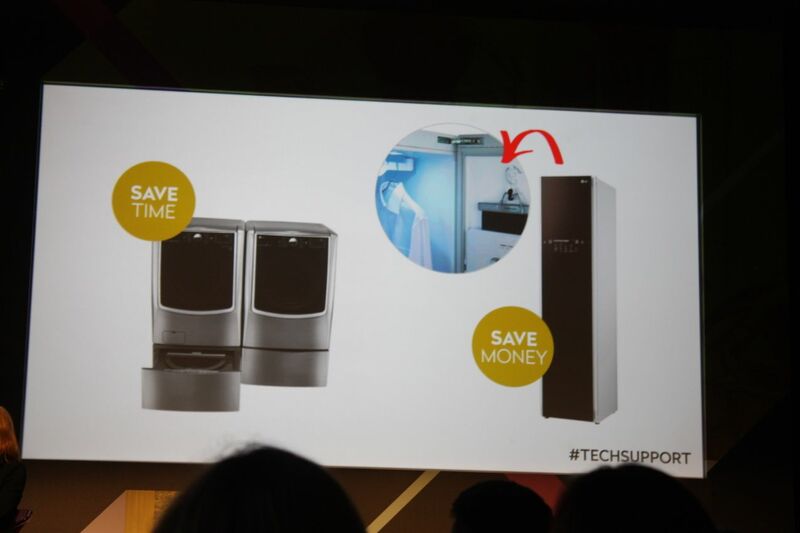 Even mundane appliances are getting better. The LG Sidekick, which has a washing drawer for small loads and can tackle two loads at once, and the LG Styler steamer unit for your suits and dresses, which can go right in your closet, are making life easier. 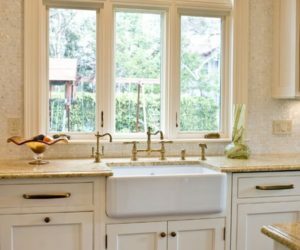 This home trend has the entire kitchen going being closed doors. 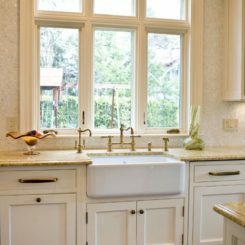 Dimma said having all the appliances and equipment concealed behind cabinet doors and drawers is in direct opposition the the chef’s kitchen trend of the past. Previously, we wanted to have hanging pot racks and all the equipment as a visible part of the decor. Now, the pendulum is swinging the other way. 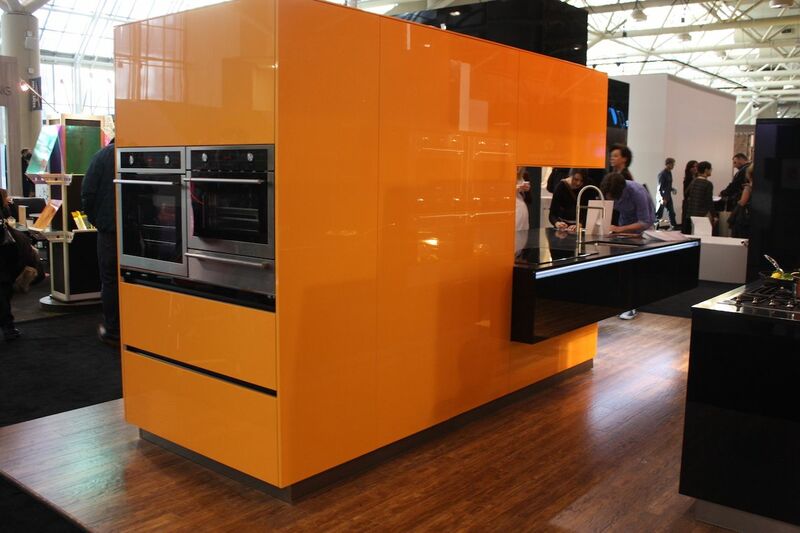 This kitchen from Bauformat is sleek, with all you need concealed behind the shiny exterior. 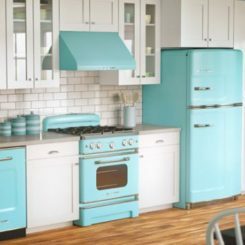 This warmer style is still quite “secret,” with most kitchen essentials hidden behind the cabinets, some of which are covered in a special leather finish. 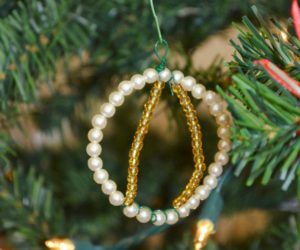 Sisal, seagrass and other naturals are in vogue again with this trend. 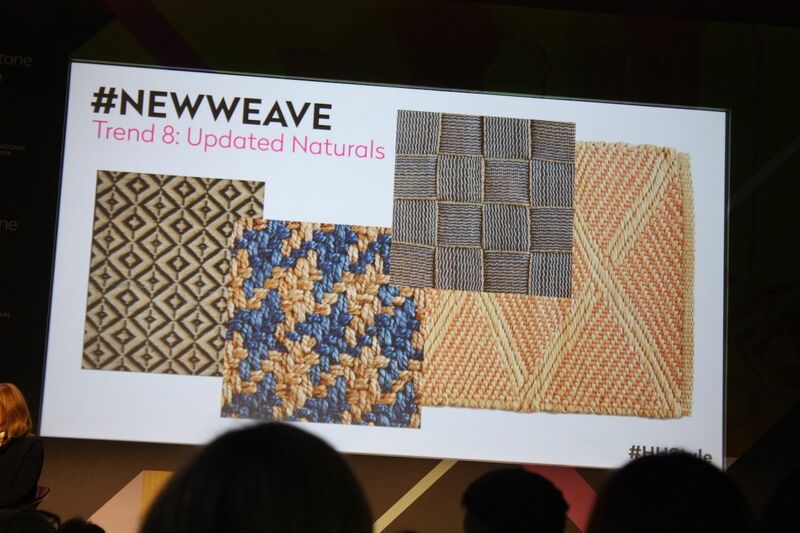 The updated take on natural materials “is super affordable and relaxes everything for a casual way of living,” Dimma explained. 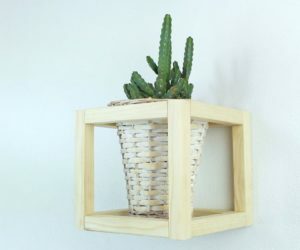 Whether for walls or floors, they are an easy update for any space. Of course there are a couple of cautions: Natural flooring can be tough if you have pets. 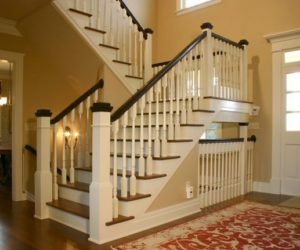 You also have to be conscious of swelling and shrinkage, which some materials do in response to changes in your home’s humidity. 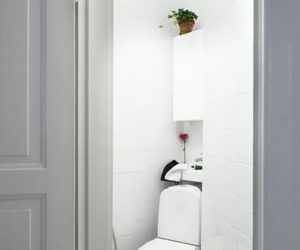 The changes in size can make surfaces lumpy and doors difficult to close or open. 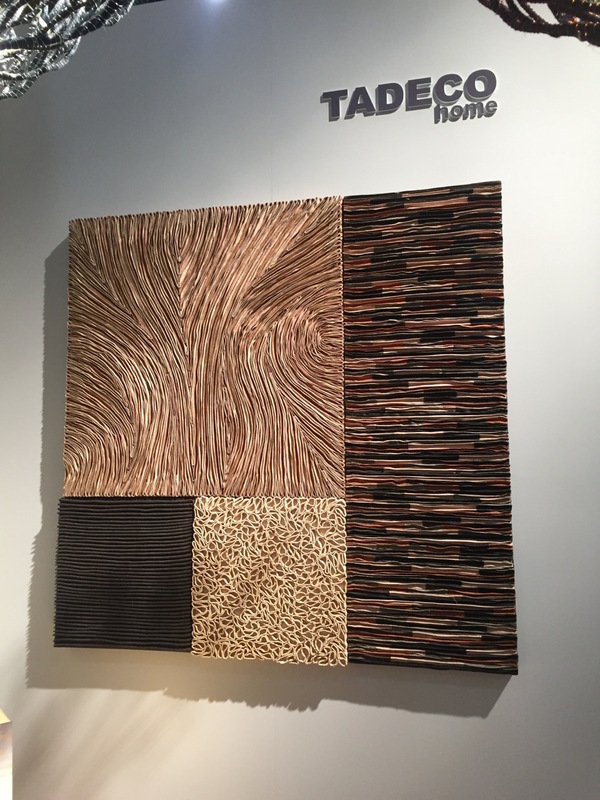 Natural wall tiles, like these from Tadeo Home, can be used as a wall covering or accent to update your decor with the latest of home trends. 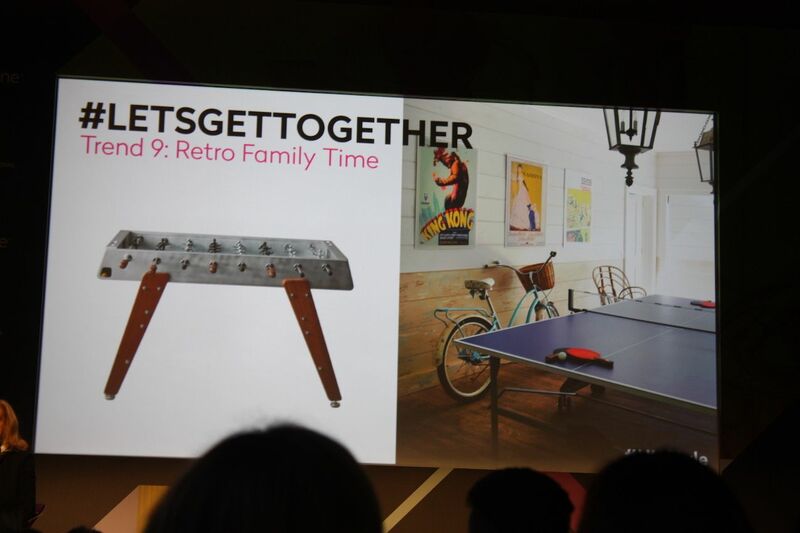 While they won’t replace electronics, retro game spaces are among the home trends showing up in family homes. In an effort to engage friends and family without electronic devices, ping pong tables, pinball machines and foosball games are seeing a resurgence. 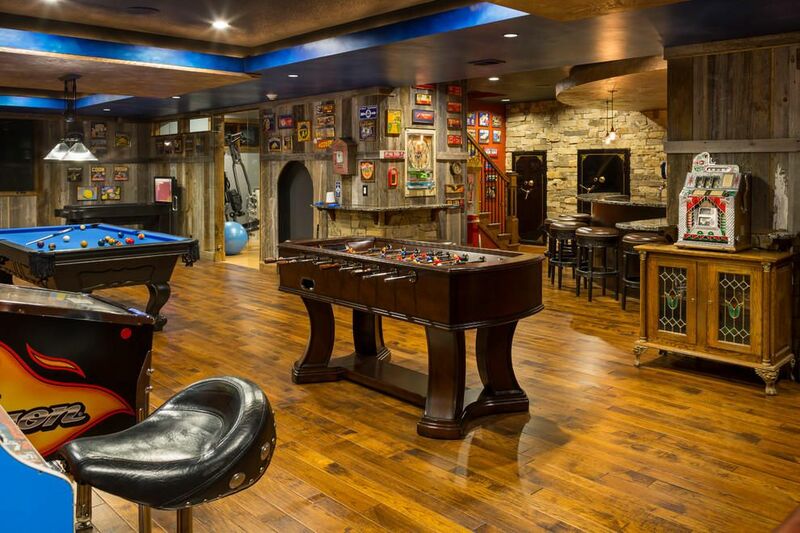 Even a designated place for playing family board games can be the focus of a retro space. Spread the furniture throughout the game room for comfortable use. 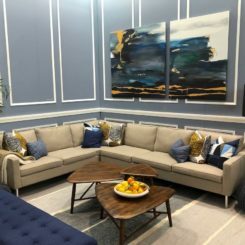 Along with this retro family time trend, Dimma said the sectional sofa is also making a return, particularly as a double. Two sectionals across from one another create ample space for family and friends to hang out together — with or without the TV! 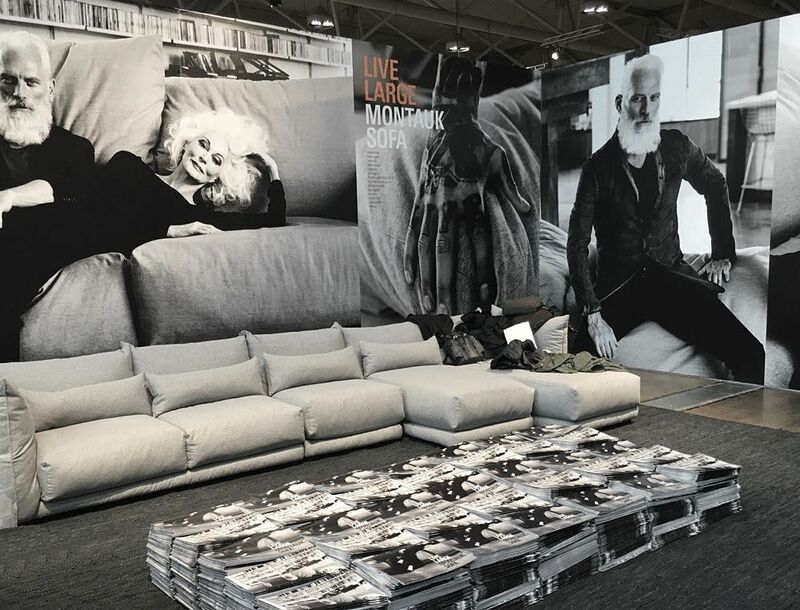 Montauk Sofa showed their massive — and massively comfortable — Alex Sofa at IDS Toronto. In fact, there were always so many people sitting on it that we had a hard time getting a good shot of it during the show. Now this is what we call a big comfy sofa! 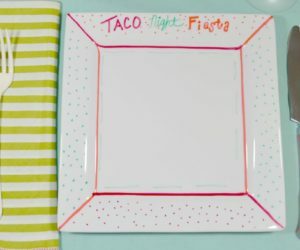 Among all the home trends, this is among our absolute favorites. 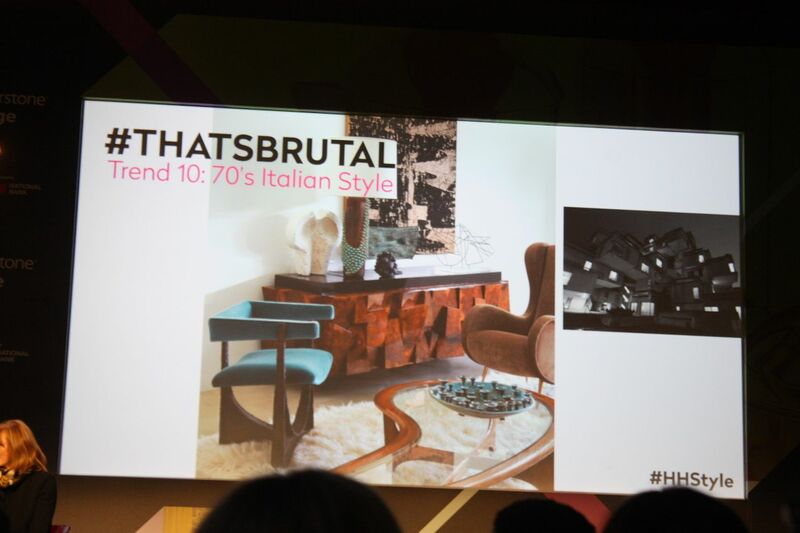 Our favorite of the home trends is this one: 70’s Italian style. 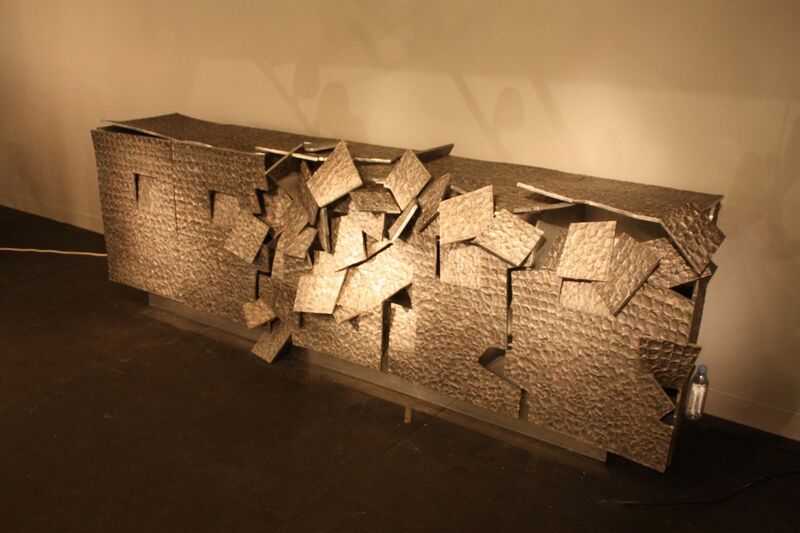 There are so many cool designs to choose from that fall under this genre, called brutalism. 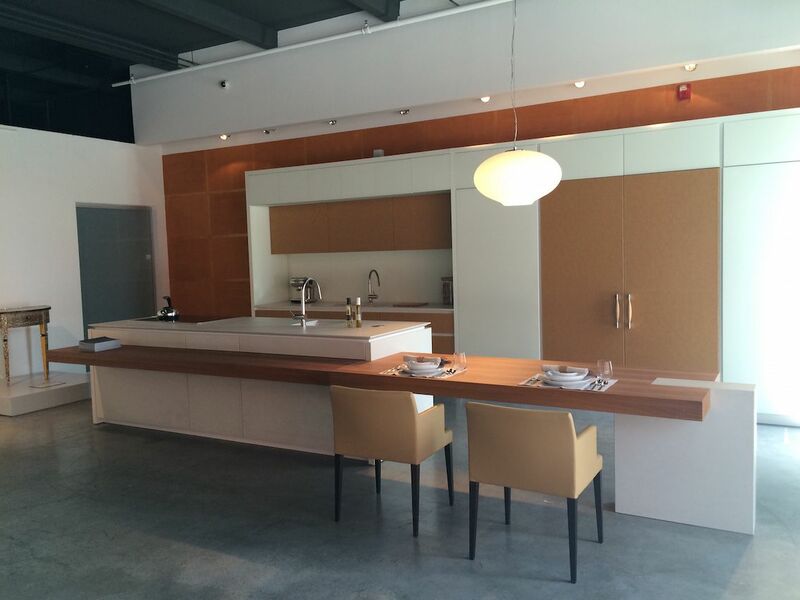 Spotlights, drum tables, and leather are just some of the elements you can use, Dimma said. This credenza, which we saw at /Design Miami 2015, would be perfect. 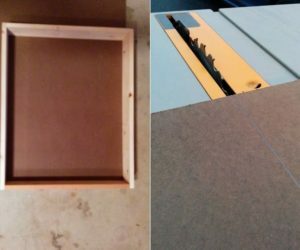 It is shown by the Carpenter’s Workshop Gallery. 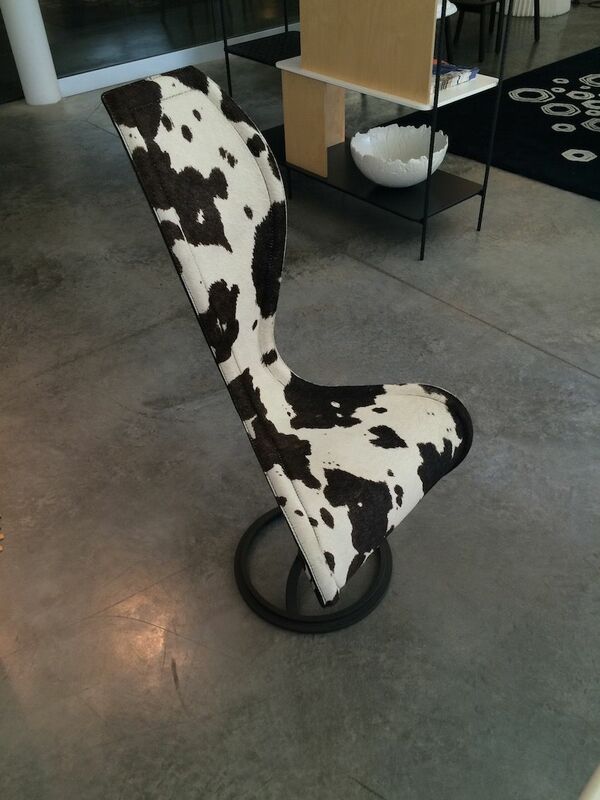 The S-Chair by Cappellini would be a fitting addition to your 70’s Italian-style living room. 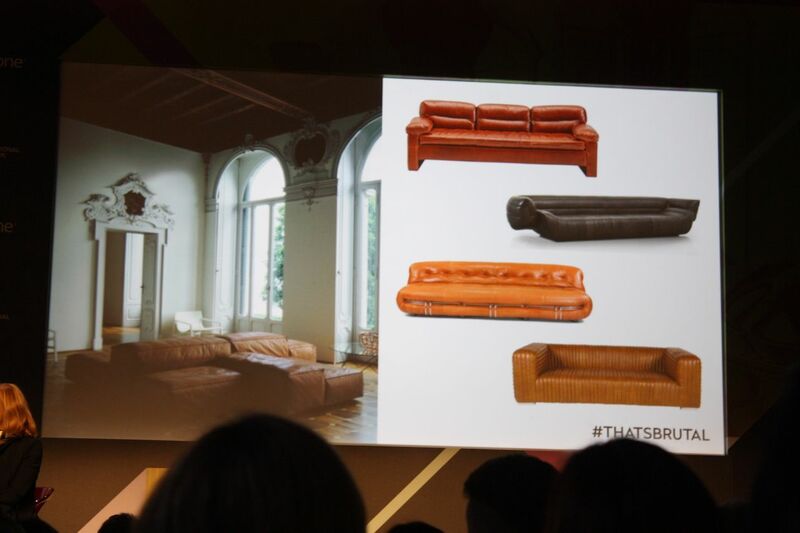 The rise of 70’s Italian decor means that the leather sofa is back in a big way, said Dimma. From overstuffed to tightly upholstered, you’ll want some leather for your living room. 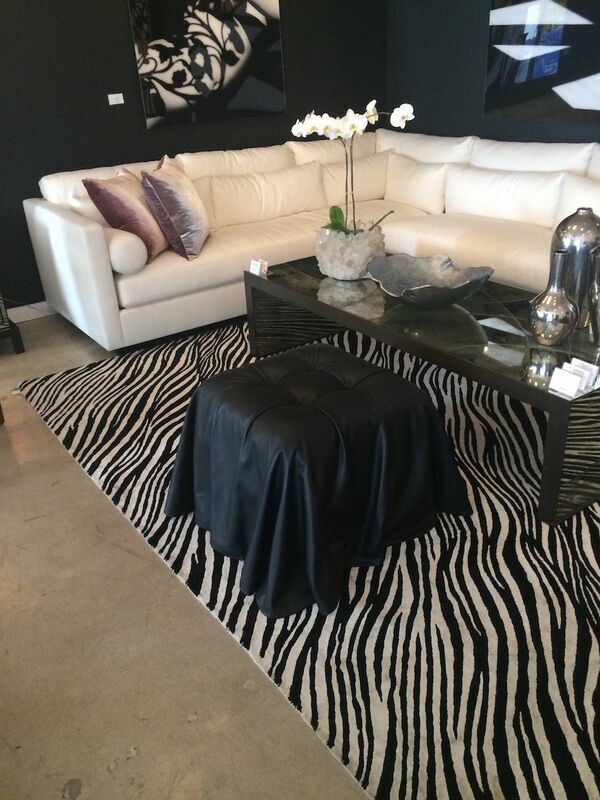 Dimma ran through the various styles of leather sofas that are popular. 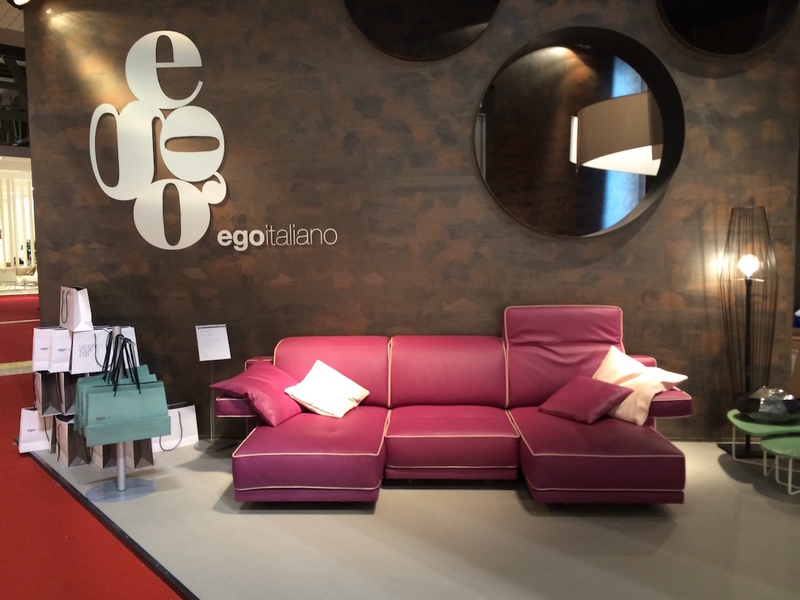 This awesome sofa from Ego Italiano combines two of the 2016 trends: Pink and leather. It’s definitely a bold move! 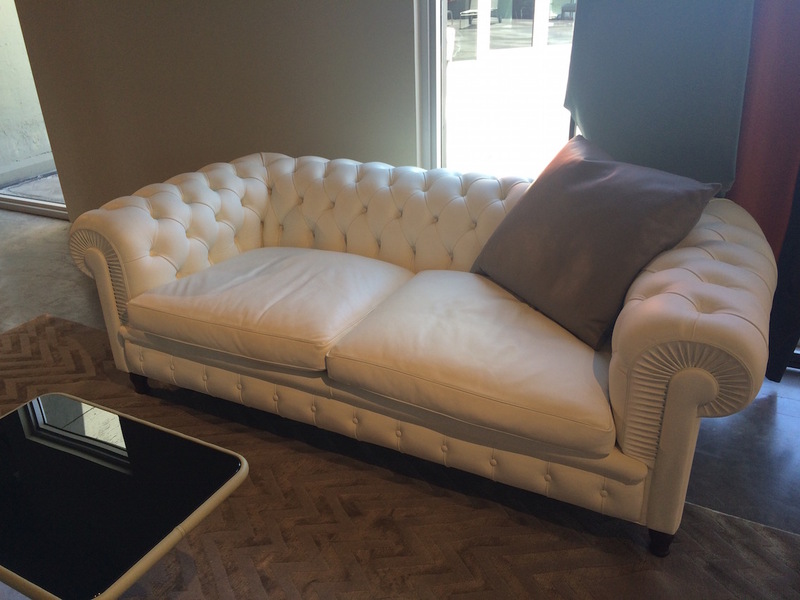 The classic tufted style Chester One sofa from Poltrona Frau would work for those with more tailored taste preferences. A few pink accents in this setting from Niba Home help bring a plain white sofa into 2016 with the latest of home trends. 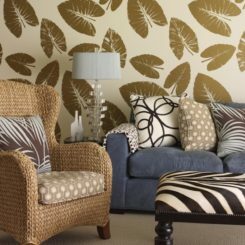 Art is a very personal choice and that makes it the perfect trend for updating and personalizing your home. 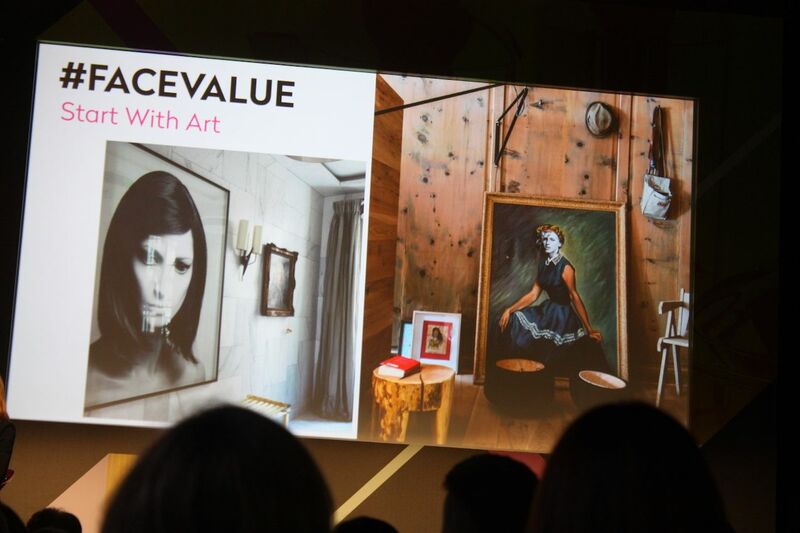 Dimma said that art doesn’t have to be expensive — DIY art or photographs that are framed and presented in an elevated manner are perfect. 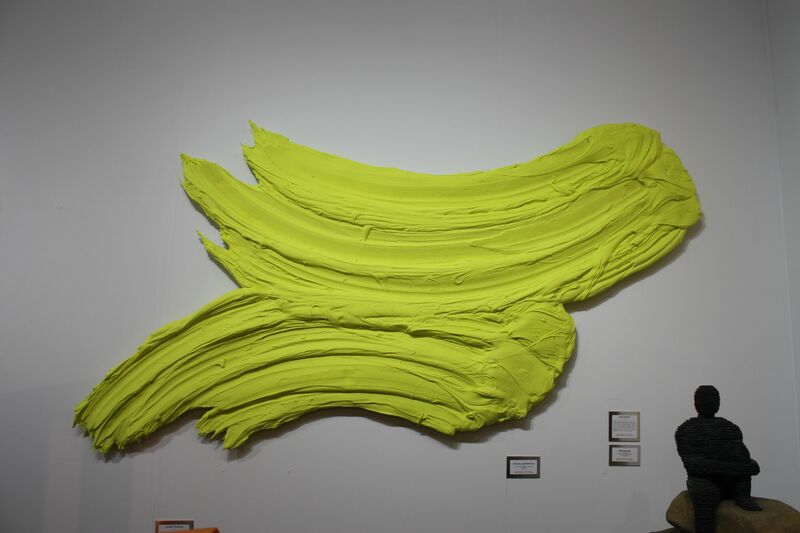 Large scale pieces are very on trend, from an abstract work like this one by Donald Martiny to simpler paintings or sculptures — it’s all up to your personal preference. 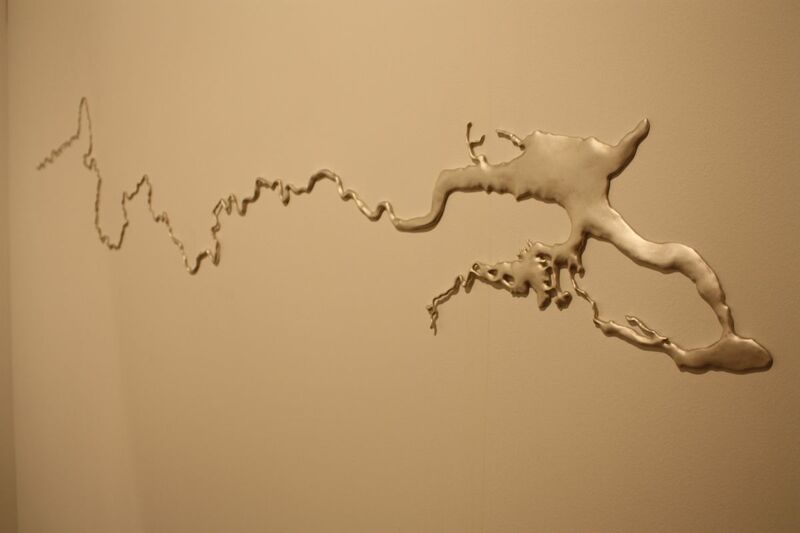 A simple but dramatic work, like this one made from recycled silver by Maya Lin, also makes a statement, albeit a subtle one. Perhaps in your updated serene living room? 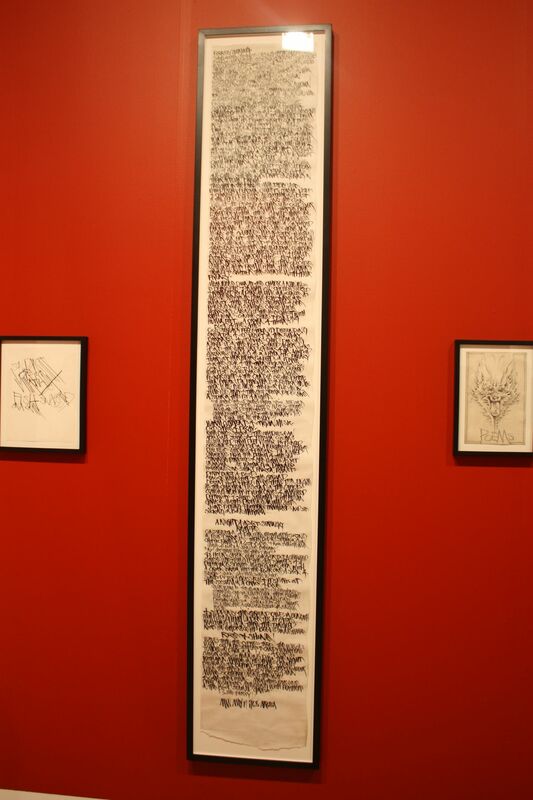 Simple but dramatic artwork like this poem by Martin Wong also works. Dimma added that portraits are making a comeback, but not the old historical gallery type portraits. 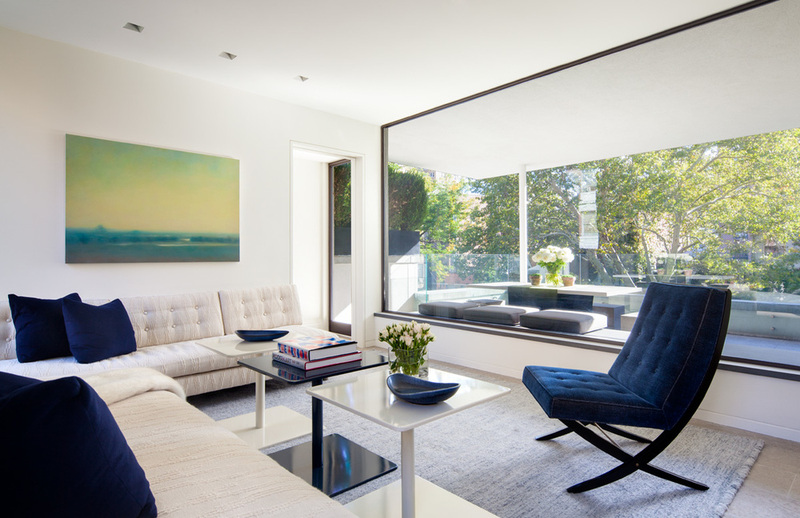 Instead, large, oversize portraits with a twist will be popular in this home trend. 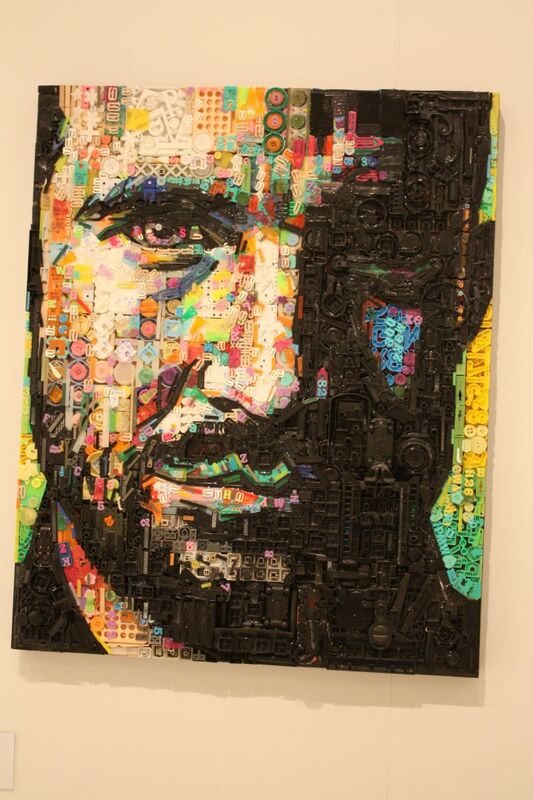 Large and dramatic, this plastic mosaic portrait was shown at Art Miami/Context Miami in December 2015. Large and unusual, this suspended button portrait of Marilyn Monroe is by Augusto Esquivel. 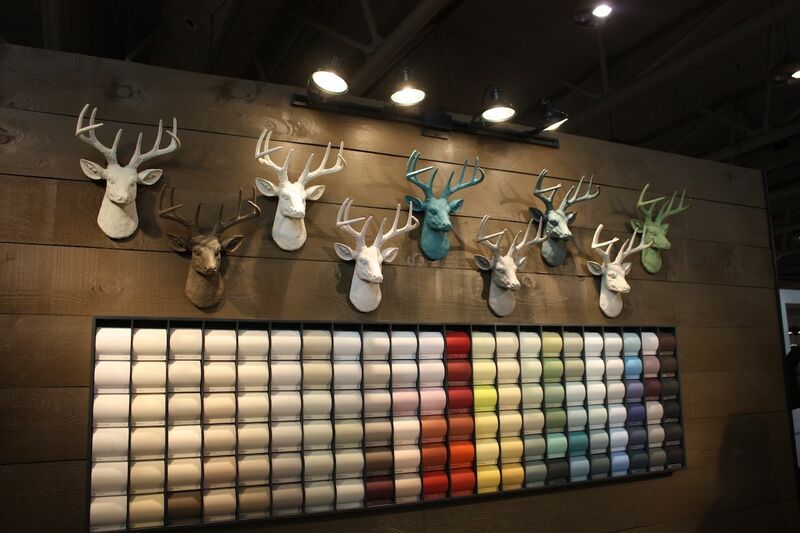 Color trends come and they go — every year. 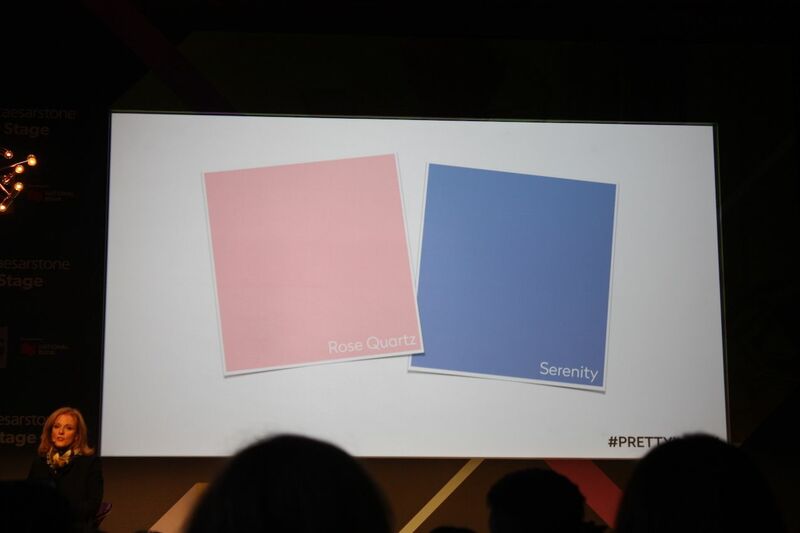 For 2016, Pantone named Rose Quartz and Serenity as theirs, and Benjamin Moore identified “Simply White” as its color of the year. 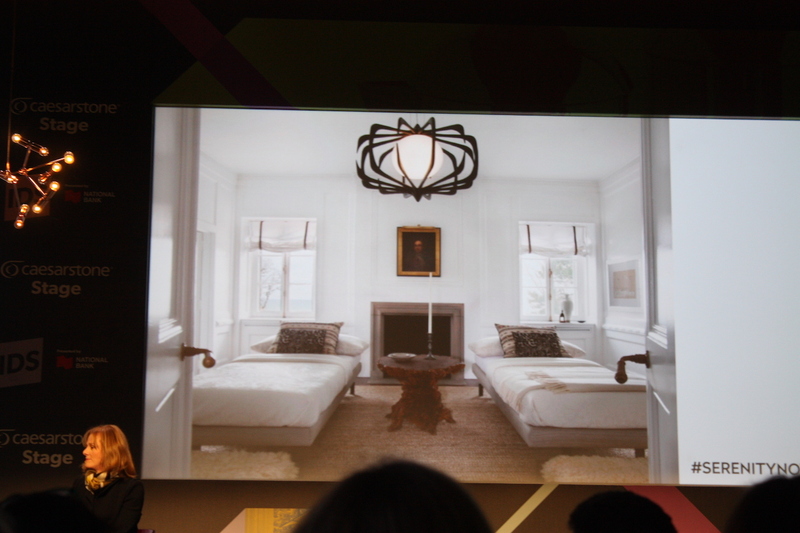 “It’s all about the mix” Dimma said about a number of the home trends, particularly paint colors. 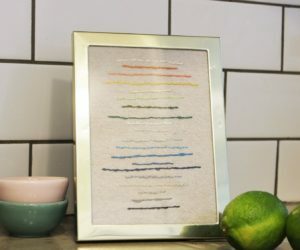 As a neutral, most whites have a bit of age and warmth to them in order to work with other colors, and some people find Simply White at little “too white,” with its blue undertones. 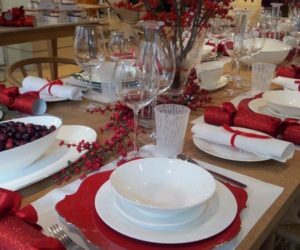 Farrow & Ball of England launched their new palette of colors for 2016 at IDS, and it includes a number of variations on white. 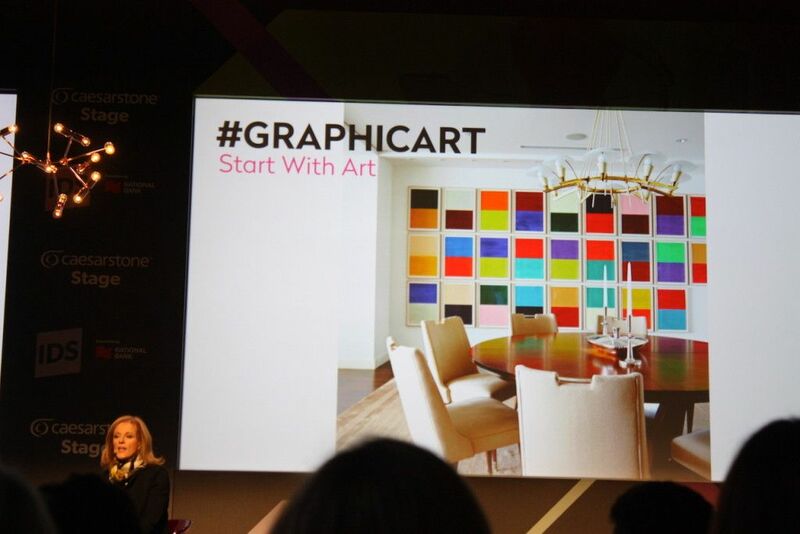 Dimma also presented information from her color experts, who noted that jewel tones are also important for 2016. 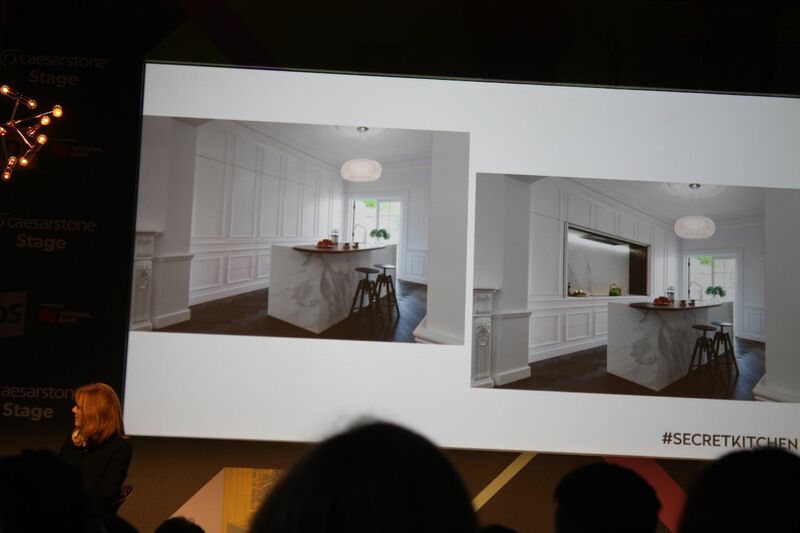 Both the editor and the colorists said that you don’t need to paint entire walls to get color in a room. By using select pieces in a bold jewel tone, mixed with neutrals, you can have an on-trend and visually comfortable space. 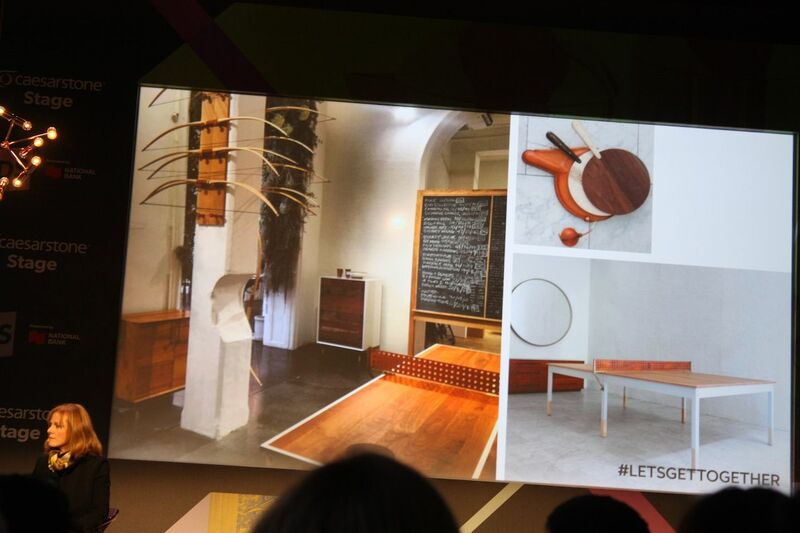 Parquet designs are having their moment in design for 2016. 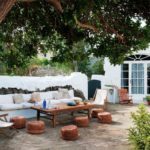 Either on the floor or the wall, or on a piece of furniture, real parquet or a parquet-style design textile will give your space a fashion-forward look, said Dimma. Choosing a parquet floor can be expensive, so if budget is a restriction for your project, try herringbone, which gives the same feel and costs less. 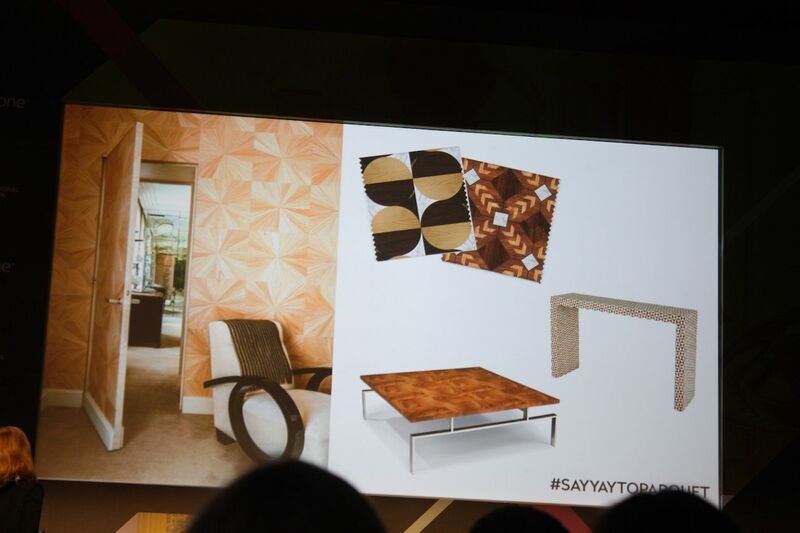 She added that burled walnut, which was popular in the 70s, is also seeing renewed interest. 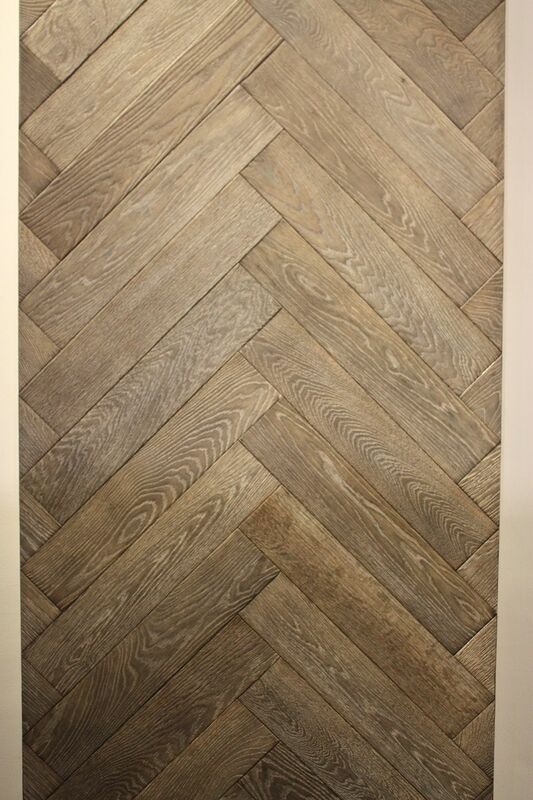 This light colored herringbone design wide plank floor is from Northern Wide Plank. 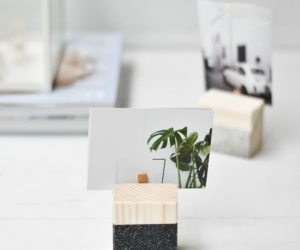 Aside from budgetary restrictions, most of the home trends Dimma presented are very accessible and adaptable to the decor style you already have in your home. 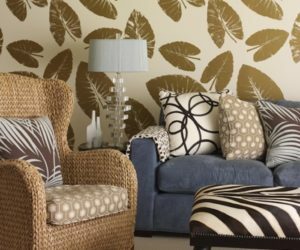 Have fun and give one or more of these new home fashions a try!